Only Testo has voltage testers with all-round display. Thanks to unique light technology, readings can be clearly seen from any position. This means you can measure voltage more reliably. The testo 750-3 voltage tester is the most high-performance model in Testo's convenient and reliable voltage tester family. In addition to the unique fibre-optic technology, the single pole voltage testing, the torch for measuring point illumination and the all-round LED display, it also has an LC display where the value currently being measured is shown. 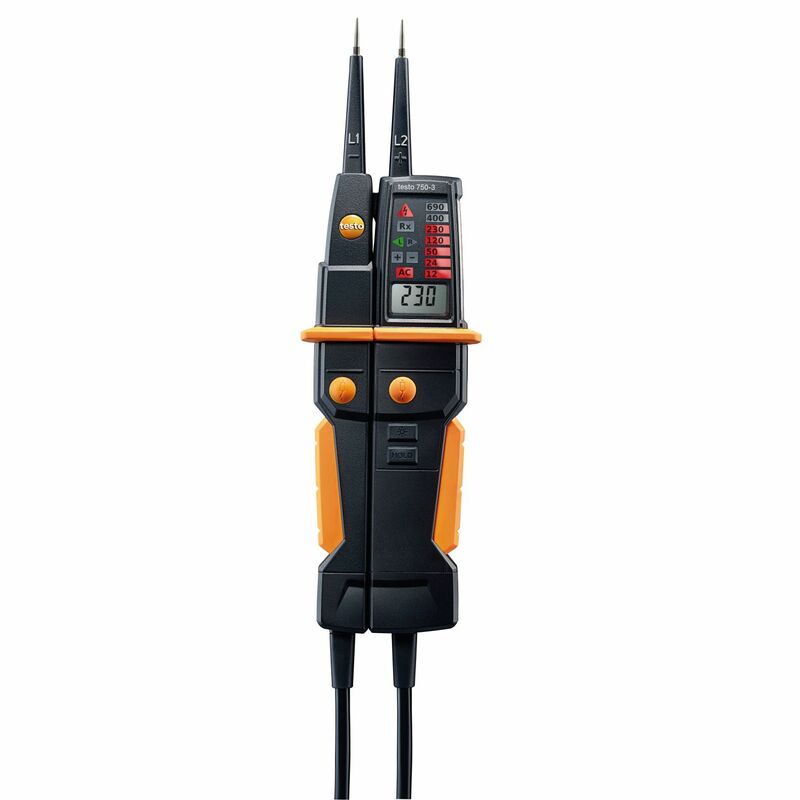 With the testo 750-2 voltage tester you can test electrical systems and equipment reliably and easily for voltage or de-energization thanks to the all-round LED display and unique fibre-optic technology. 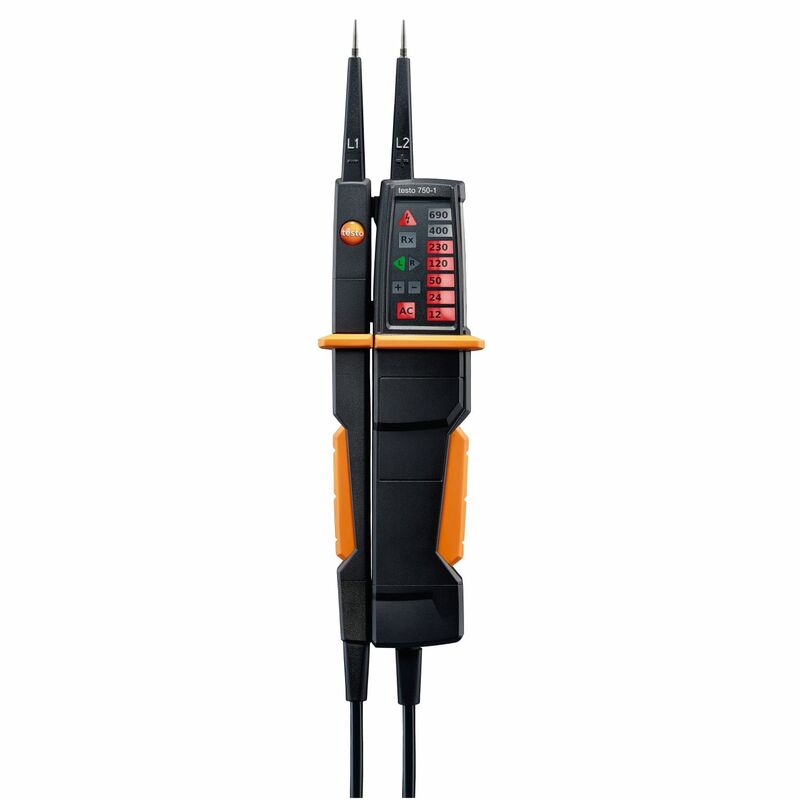 Compared to the testo 750-1, it is also suitable for single pole voltage testing to determine quickly whether conductors are live. Your reliable companion when it comes to testing electrical systems and equipment. The all-round LED display and unique fibre-optic technology mean the voltage indication can be seen clearly and distinctly from any position with this voltage tester.